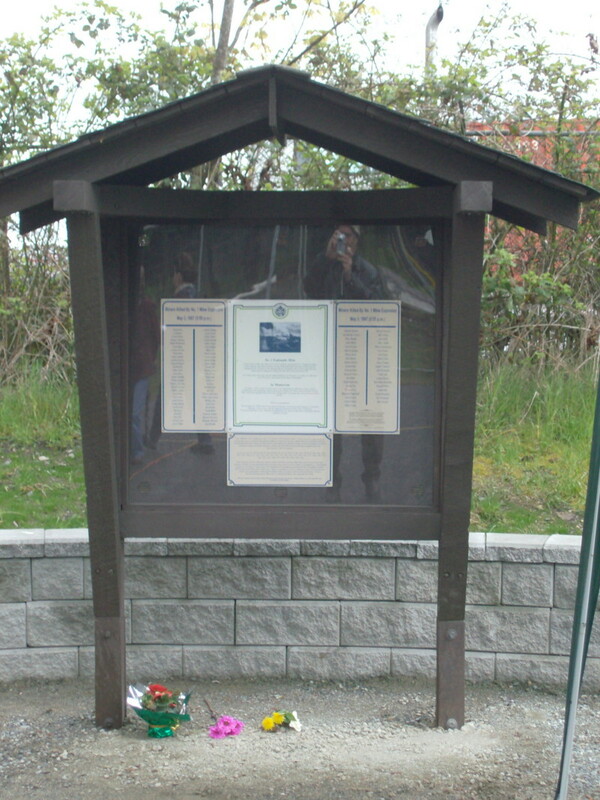 The Number One Mine Memorial was a great success. 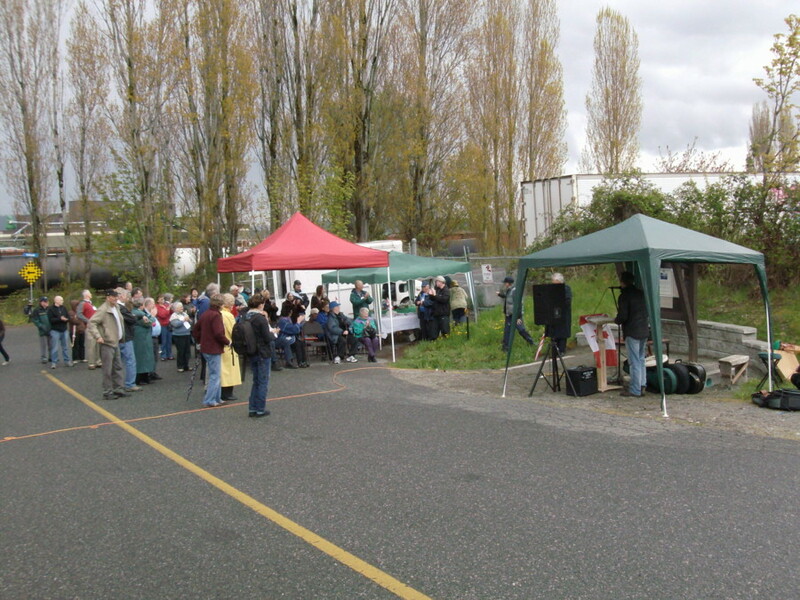 In spite of the dampness, more than 60 people attended. 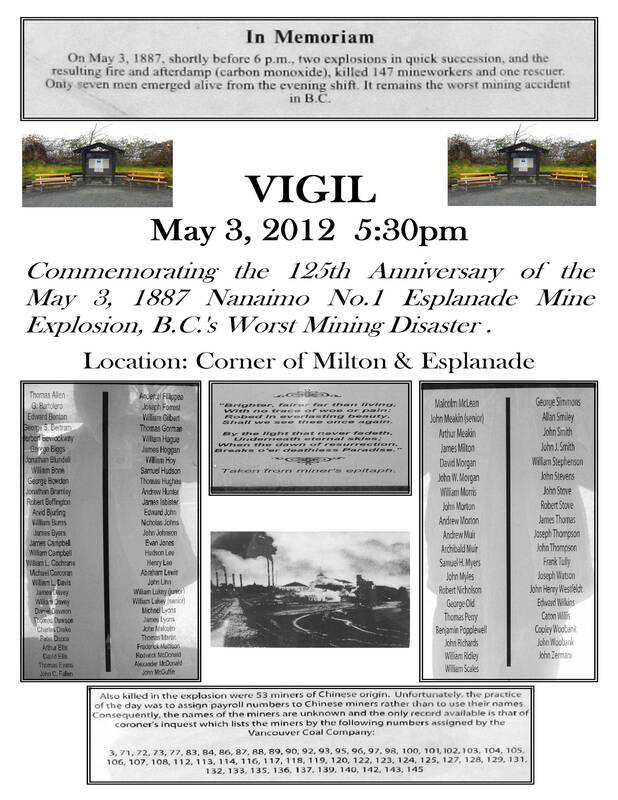 Mayor John Ruttan, MP Jean Crowder and MLA Doug Routley all spoke about the need to remember the mining disaster of 1887. Muriel MacKay Ross, Beverley Sherry and author Roger Stonebanks spoke about the old mining days in Nanaimo. Councilors Fred Pattje, Loyd Sherry and Ted Greves also attended. Music was provided by Trinitude and the Owl and the Pussycat (plus friends) The Tea Wagon was there in all its glory and SECA members dispensed tea and cookies. 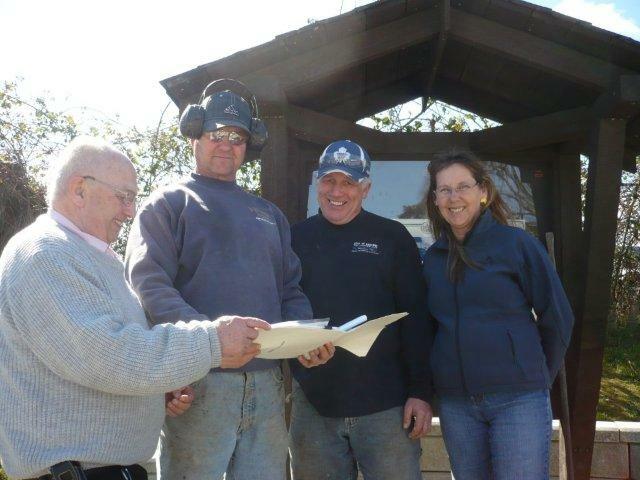 A special thank you to Charles Torjhelm for getting the original kiosk, its present renovation and for helping organize the ceremony. Here’s a link to the article in the Nanaimo Daily News.